Plains coreopsis is a showy annual that will add color in the early phases of seeded plantings. If allowed to go to seed, it will persist in perennial beds. It provides nectar for a number if insects, including bees and butterflies. We often have an abundance of seed which, for a solid stand, you'd sow at about a pound per acre. 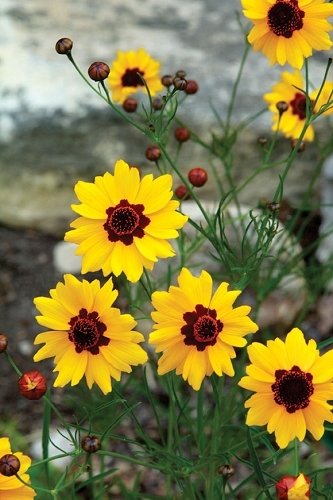 Q: What time of the year can you plant Plains Coreopsis seeds and Lanceleaf Coreopsis seeds? A: Late August or early July will allow a lot of seed to germinate early and bloom the following year. The rest of the seed will lie dormant and stratify over winter. You can also wait to sow both species sometime between November and early February as you would do with most other forb seeds.